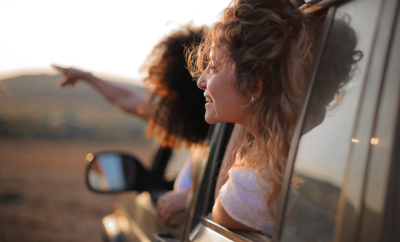 You’ve taken the family camping before – slept on the hard ground in a hot, stuffy sleeping bag, lined up like sardines in a nylon bubble, crawling on your hands and knees through a tiny doorway to get in and out. Oh, what fun. Camping does not have to be his way. There’s a better way to camp at the Reservation on the Guadalupe River. Hidden away in a pocket of trees just off the beaten path stand eight tipis clustered in a tiny reservation. But, these aren’t just any tipis. 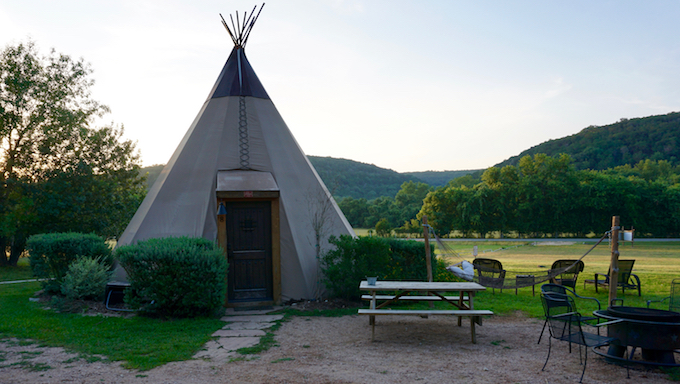 They are luxury tipis for those that want the camping experience but prefer to leave the tents behind. Here at the Reservation on the Guadalupe, you can let your kids live the dream of sleeping in a tipi while enjoying it yourself. 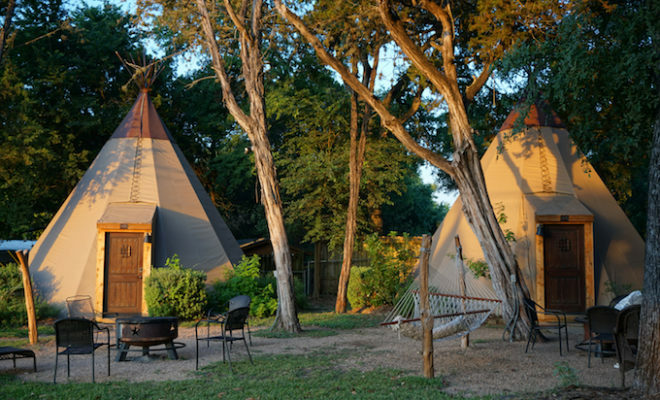 Each tipi provides at least two or three queen beds and a couch. Some of the couches are pull-out – perfect for the little ones. All the tipis come equipped with electricity and are refreshingly air conditioned. Television and Wifi will keep you connected and informed. 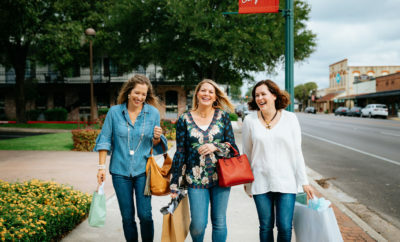 Kitchenettes with mini-fridges and toaster ovens make cooking inside a breeze, while each tipi’s outdoor space offers a grill, plenty of outdoor seating, a picnic table for your dining pleasure, and a fire pit for perfect for toasting the after-dinner marshmallows and or with an adult beverage in hand, the sunset. Don’t worry about looking around for a tree to squat behind. 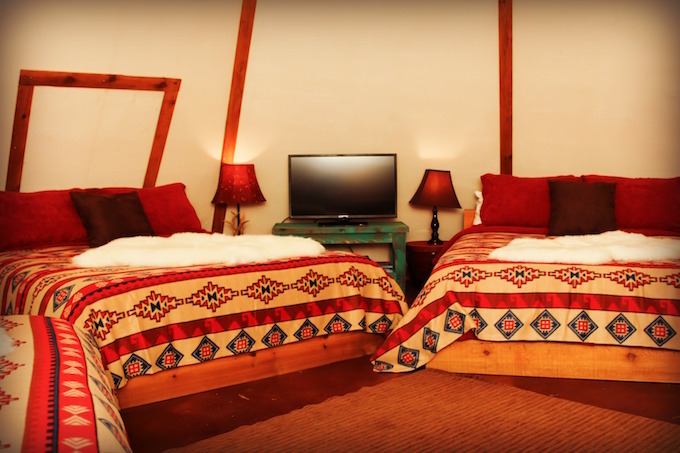 Each tipi also comes with its own private bathroom located in the bathhouse just steps from your tipi’s front door – comfortably equipped with a sink, shower, and toilet, plus bath linens. They have even used Moen fixtures in these baths! 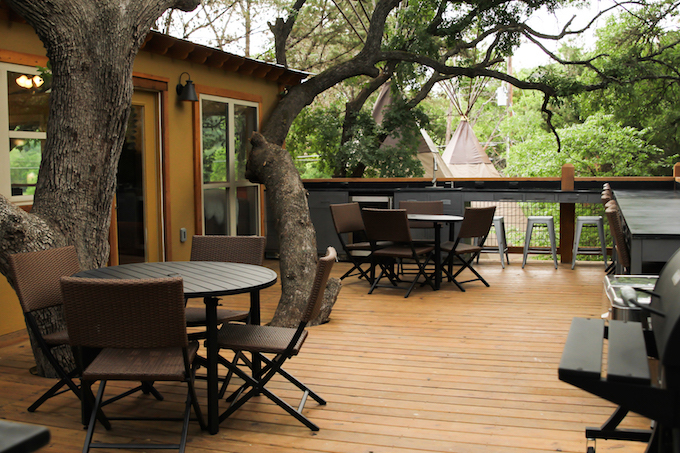 Another cool feature at the Reservation is the common area and game room located in a tree house. Yep, watch a movie on the big screen TV while munching your popcorn high up in the branches of the trees. No time for TV? That’s okay.